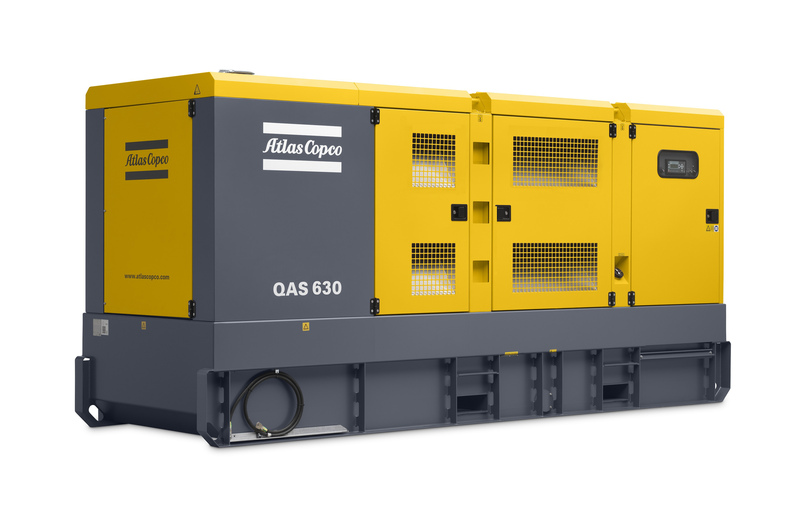 Atlas Copco has extended the power range of its popular QAS series of generators with the addition of the QAS 630. By incorporating the compact frame of the QAS 500, the QAS 630 can generate 20% more power without needing a larger footprint. The expanded QAS generator series provides complete, compact and fuel-efficient solutions from 14 to 630 kVA. Like other models in the QAS series, the QAS 630 boasts a compact and sturdy design in a rugged galvanised enclosure, which reduces noise levels and ensures reliable operation. In addition, the spillage-free frame minimises environmental impact. The standard fuel tank has a capacity of more than 900 litres and can provide power for a full work shift at full load. An optional long-autonomy fuel tank can extend the running time up to 24 hours, depending on load requirements. The QAS 630 features the advanced but simple-to-operate Qc4003 controller, with a plug-and-play design that enables simple and fast configuration. Other features include the ability to remotely start and programme the machine, as well as data analysis capability.